I presented at the PharmacoGenomics Research Network (PGRN) portion of the 2018 ASHG meeting (link to my slides here). A major theme from my talk was that precision medicine holds promise for advancing novel therapies, but that implementation of pharmacogenomics (PGx) will happen by design not by accident. Here is what I mean – and why our health care systems need to build for this future state today. PGx by design – PGx by design starts at the very beginning of the drug discovery journey, when the choice is made to develop a therapeutic molecule against a target or a pathway. A precision medicine hypothesis is carried forward into the design of a therapeutic molecule (“matching modality with mechanism”), pre-clinical biomarkers to measure pharmacodynamic responses, and early proof-of-concept clinical studies in defined patient subsets. Late-stage clinical development is performed in these patient subsets, and regulatory approval is obtained with a label that defines this patient subset. Health care systems will essentially be required to incorporate precision medicine into patient care. What is the clinical significance of residing within the tail of a distribution for disease risk? 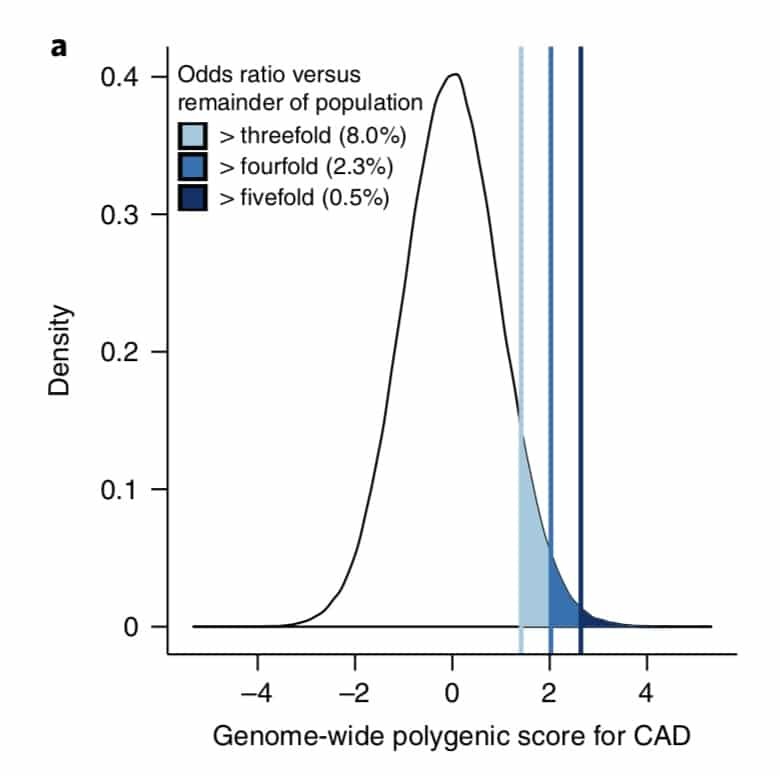 A new study published in Nature Genetics uses a composite polygenic score to measure extremes of genetic risk(see original article here). The authors make the bold statement: “it is time to contemplate the inclusion of polygenic risk prediction in clinical care”. In this plengegen.com blog, I briefly review the paper, frame the impact of the study in terms of “long tails”, and propose how genetic tails may be used as part of a healthcare system reimagined. 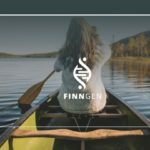 A new genetics initiative was announced today: the creation of FinnGen (press release here). FinnGen’s goal is to generate sequence and GWAS data on up to 500,000 individuals with linked clinical data and consented for recall. There are many applications for such a resource, including drug discovery and development. In this blog, I want to first describe the application of PheWAS for drug discovery and development, and then introduce FinnGen as a new PheWAS resource (see FinnGen slide deck here). 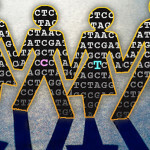 PheWAS turns GWAS on its head. While GWAS tests millions of genetic variants for association to a single trait, PheWAS does the opposite: tests hundreds (if not thousands) of traits for association with a single genetic variant. 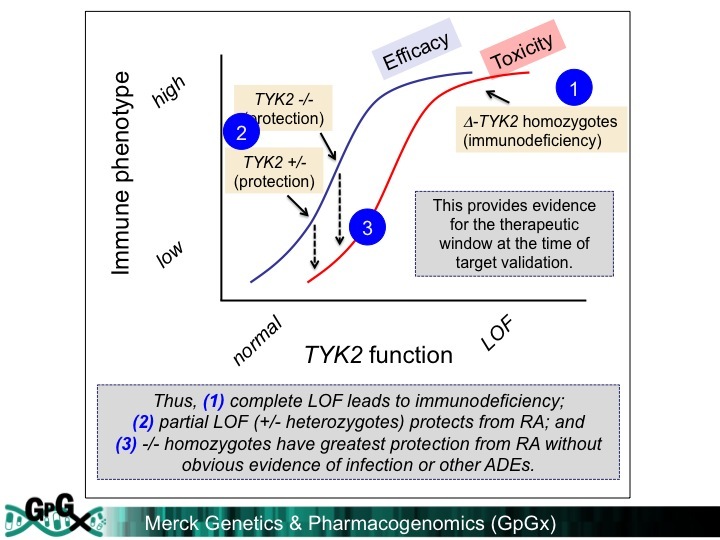 This approach is primarily relevant for those genetic variants with an unambiguous functional consequence – for example, a variant associated with disease risk or a variant that completely abrogates gene function. There are useful online resources (see here), as well as several nice recent reviews by Josh Denny and colleagues, which provide additional background on PheWAS (see here, here). 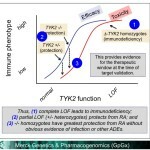 As readers of my blog know, I am a strong supporter of a disciplined R&D model that focuses on: picking targets based on causal human biology (e.g., genetics); developing molecules that therapeutically recapitulate causal human biology; deploying pharmacodynamic biomarkers that also recapitulate causal human biology; and conducting small clinical proof-of-concept studies to quickly test therapeutic hypotheses (see Figure below). As such, I am constantly on the look-out for literature or news reports to support / refute this model. Each week, I cryptically tweet these reports, and occasionally – like this week – I have the time and energy to write-up the reports in a coherent framework. Of course, this model is not so easy to follow in the real-world as has been pointed out nicely by Derek Lowe and others (see here). A nice blog this week by Keith Robison (Warp Drive Bio) highlights why drug R&D is so hard. Here are the studies or news reports from this week that support this model. Like many, I waited with bated breath for results of the anti-PCSK9 (evolocumab) FOURIER cardiovascular outcome study last week. 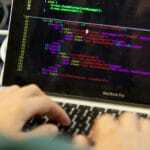 There have been many interesting commentaries written on the findings. A few of my favorites are listed here (Matthew Herper), here (David Grainger), here (Derek Lowe), and here (Larry Husten), amongst others, with summaries provided at the end of this blog. Most of these articles focused on clinical risk reduction vs. what was predicted for cardiovascular outcome, as well as whether payers will cover the cost of the drugs. These are incredibly important topics, and I won’t comment on them further here, other than to say that the debate is now about who should get the drug and how much it should cost. 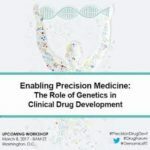 Yesterday I participated in the National Academy workshop, “Enabling Precision Medicine: The Role of Genetics in Clinical Drug Development” (link here). There were a number of great talks from leaders across academics, industry and government (agenda here). I was struck, however, by a consistent theme: most think that “precision medicine” will improve delivery of approved therapies or those that are currently being developed, whether or not the therapies were developed originally with precision medicine explicitly in mind. Many assume that the observation that ~90% medicines are effective in only 30% to 50% is the result of biological differences in people across populations (see recent Forbes blog here). This hypothesis is very appealing, as there are many unique features to each of us. An alternative explanation is that most medicines developed without precision medicine from the beginning only work in ~30% patients because the medicines don’t target the biological pathways that make each of us unique. A new sickle cell anemia gene therapy study published in the New England Journal of Medicine (see here, here) gives hope to patients and the concept of rapidly programmable therapeutics based on causal human biology. But how close are we really? It takes approximately 5-7 years to advance from a therapeutic hypothesis to an early stage clinical trial, and an additional 4-7 years of late stage clinical studies to advance to regulatory approval. This is simply too long, too inefficient and too expensive. But how can timelines be shortened? In the current regulatory environment, it is difficult to compress late stage development timelines. This leaves the time between target selection (or “discovery”) and early clinical trials (ideally clinical proof-of-concept, or “PoC”) as an important time to gain efficiencies. Further, discovery to PoC is an important juncture for minimizing failure rates in late development and delivering value to patients in the real world (see here). Here, I argue that rapidly programmable therapeutics based a molecular understanding of the causal disease process is key to compressing the discovery to PoC timeline. What fraction of potential protein targets is accessible to conventional therapeutic modalities such as small molecules and protein biologics? The “druggable genome”, a term coined by Hopkins and Groom in 2002 (here), provides an estimate: approximately 10% of proteins in the human body are druggable by small molecule therapeutics. 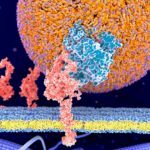 Greg Verdine and others estimate that an additional 10% of protein targets – those that are extracellular proteins – are druggable by biologics (here; excellent podcast by Janelle Anderson, humanPoC, here). Derek Lowe, however, has blogged that there is a lot of uncertainty in these estimates (here, here). But just because a protein is druggable does not necessarily make it a potential drug target, “for that honour belongs only to proteins that are also linked to disease”. That is, proteins that are compelling targets based on causal human biology may not be druggable. 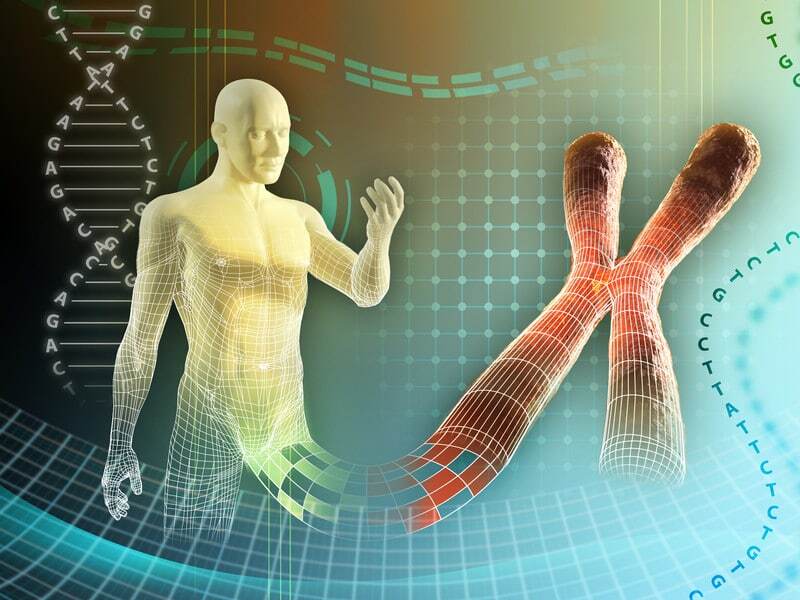 It has been a good week for human genetics, with high-profile studies published in Science (here) and NEJM (here, here, here), and a summit at the White House on Precision Medicine. Here, I summarize the published studies and put them in context for drug discovery. But first, I want to briefly detour into a story about the Wright Brothers. In 1900, Wilbur and Orville Wright first began experiments with their flying machine. They defined three problems for manned flight: power, wing structure and control. As described beautifully in David McCullough’s book (review here), the brothers focused on the latter, control, which when sufficiently solved led to the first manned flight in 1903. 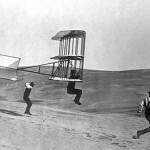 Within ten years of solving the “flying problem”, aviation technology progressed to the point that manned flights were routine. 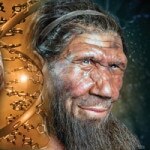 Forget Neandertals – this Science study is about genotype-phenotype correlations in electronic health records (EHRs). 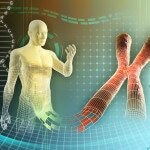 A study published last week in Science described a large-scale genetic association study of Neandertal-derived alleles with clinical phenotypes from electronic health records (EHRs). Here, I focus less on the Neandertal aspect of the study – which to me is really just a gimmick and not medically relevant – and more on the ability to use EHR data for unbiased association studies against a large number of clinical traits captured in real-world datasets. I also provide some thoughts on how this same approach could be used for drug discovery. 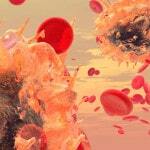 Articles of the week: biomarkers for Alzheimer’s in JAMA. This week I want to focus on the role of biomarkers in drug discovery and development, which is one of the three pillars of a successful translational medicine program (see slide deck here). 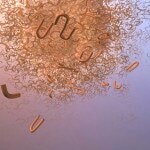 The focus is on Alzheimer’s disease, based on recent articles published in JAMA. At the end of the blog you will find postings for new biomarker positions in Merck’s Translational Medicine Department. 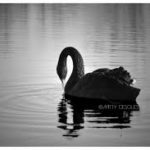 Before I start, I want to point to a few blogs that provide counterarguments to some of the optimistic opinions expressed in this blog. The first is David Dobb’s negative view on big data (here); the second on Larry Husten’s concerns about conflicts of interest between academics and industry, as it relates to a recent NEJM series (here). I will not comment further, but it is worth pointing readers to these blogs and related blogs for a balanced view on complicated topics. The primary purpose of this blog is to recruit clinical scientists into our new Translational Medicine department at Merck (job postings at the end). However, I hope that the content goes beyond a marketing trick and provides substance as to why translational medicine is crucial in drug discovery and development. Moreover, I have embedded recent examples of translational medicine in action, so read on! 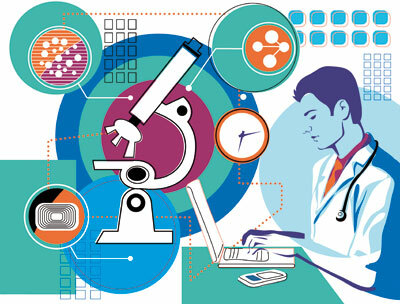 There is a strong need to recruit clinical scientists into an ecosystem to develop innovative therapies that make a genuine difference in patients. 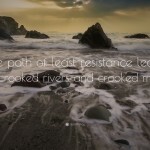 This ecosystem requires those willing to toil away at fundamental biological problems; those committed to converting biological observations into testable therapeutic hypotheses in humans; and those who develop therapies and gain approval from regulatory agencies throughout the world. The first step is largely done in academic settings, and the other two steps largely done in the biopharmaceutical industry…although I am sure there are many who would disagree with this gross generalization! The key word here is “cure”. Cure! 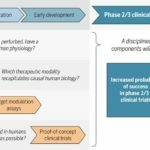 The purpose of this blog is two-fold: (1) introduce geneticists and genomicists to cancer immunotherapy, if they have not thought about it before, and (2) highlight a recent Science publication by Elaine Mardis, Gerald Linette, and colleagues at WashU (here), with an accompanying News & Views article in Nature (here). I admit upfront that this is a self-serving blog, as it promotes a manuscript for which I was directly involved. 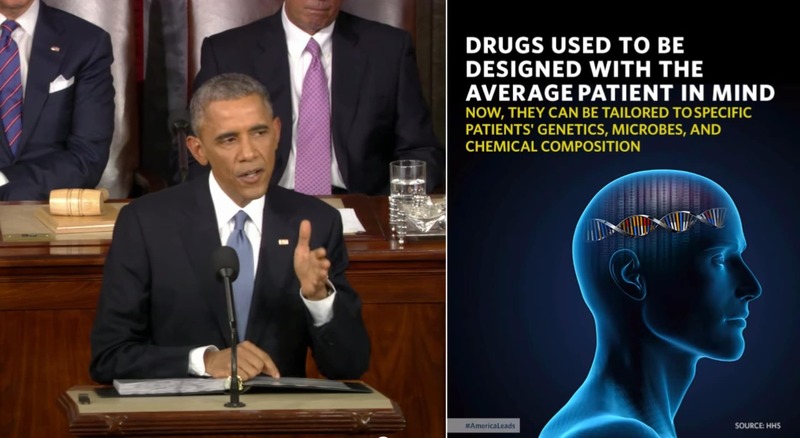 But I do think it represents a very nice example of the role of human genetics for drug discovery. 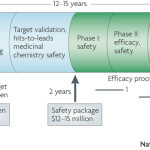 The concept, which I have discussed before (including my last blog), is that there is a four-step process for progressing from a human genetic discovery to a new target for a drug screen. A slide deck describing these steps and applying them to the findings from the PLoS One manuscript can be found here, which I hope is valuable for those interested in the topic of genetics and drug discovery. 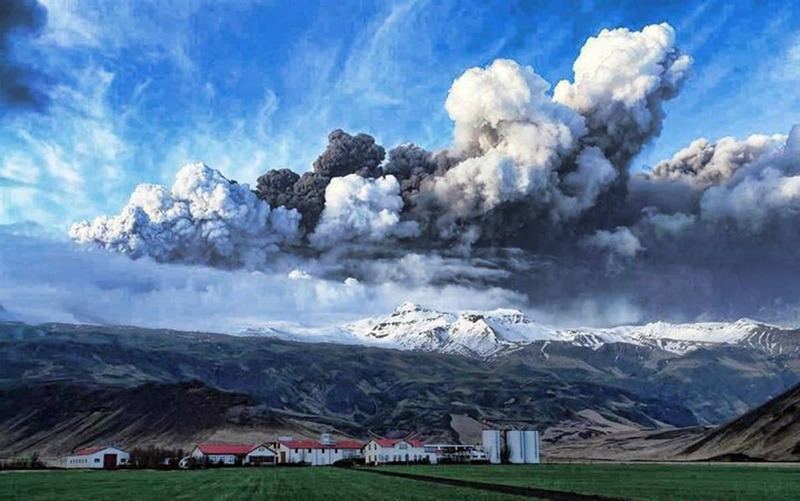 There was an eruption in Iceland last week. 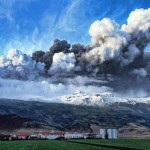 No, this was not another volcanic eruption. 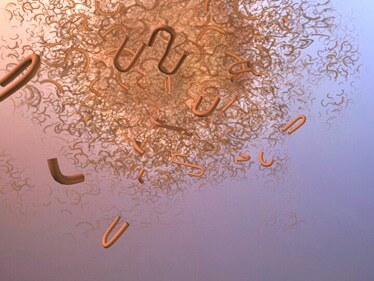 Rather, there was a seismic release of human genetic data that provides a glimpse into the future of drug discovery. The studies were published in Nature Genetics (the issue’s Table of Contents can be found here), with insightful commentary from Carl Zimmer / New York Times (here), Matthew Herper / Forbes (here), and others (here, here). As I have commented before, human genetics represent a very powerful approach to identify new drug targets (see here, here). I have articulated a 4-step process (see slide #5 from this deck): (1) select a phenotype that is relevant for drug discovery; (2) identify a series of genetic variants (or “alleles”) that is associated with the phenotype; (3) assess the biological function of phenotype-associated alleles; and (4) determine if those same alleles are associated with other phenotypes that may be considered adverse drug events. My overly simplistic vision of the way to transform drug discovery is to (1) pick targets based on causal human biology (e.g., experiments of nature, especially human genetics), (2) develop drugs that recapitulate the biology of the human experiments of nature (e.g., therapeutic inhibitors of proteins), (3) develop biomarkers that measure target modulation in humans, and (4) test therapeutic hypotheses in humans as safely and efficiently as possible. Thus, one of my favorite themes is “causal human biology”. The word “causal” is key: it means that there is clear evidence between the cause-effect relationship of target perturbation in humans and a desired effect on human physiology. Human genetics represent one way to get at causal human biology, and in my last blog I highlighted recent examples outside of human genetics. I am constantly scanning the literature to find examples that support or refute this model, as I predict that a discipline portfolio of projects based on causal human biology will be more successful than past efforts by the pharmaceutical industry. 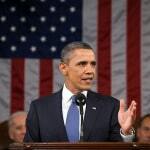 I was very pleased to listen to your State of the Union address and learn of your interest in Precision Medicine. As I am sure you know, this has led to a number of commentaries about what this term actually means (here, here, here). I would like to provide yet another perspective, this time from someone who has practiced clinical medicine, led academic research teams and currently works in the pharmaceutical industry. At the Harvard-Partners Personalized Medicine Conference last week I participated in a panel discussion on complex traits. When asked about where personalized medicine for complex traits will be in the future, I answered that I envision two major categories for personalized therapies. (2)Large effect size variants will be detected in clinical trials or in post-approval studies and will lead to personalized medicine. This answer, I said, was based in part on current categories of FDA pharmacogenetic labels and in part on how I see new drug discovery occurring in the future. But did the current FDA labels really support this view? The answer is “yes”. 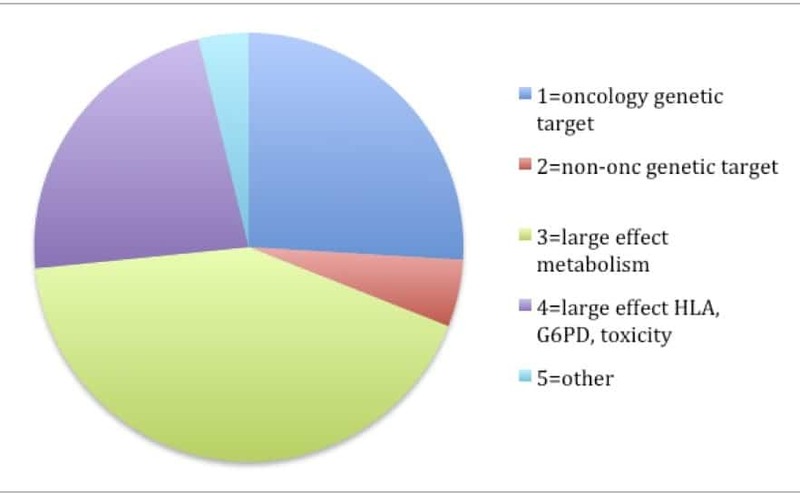 In reviewing the 158 FDA labels (Excel spreadsheet here), my crude analysis found that 31% of labels fall into the “genetic target” category (most from oncology – 26% of total) and 65% fall into the “large effect” category (most from drug metabolism [42% of total], HLA or G6PD [15% of total]). How many genomes is enough? I have come across three reports in the last few days that help me think about the question: How many genomes is enough? 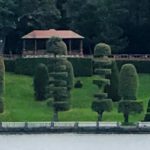 My conclusion – we need a lot! Here are some thoughts and objective data that support this conclusion. (1) Clinical sequencing for rare disease – JAMA reported compelling evidence that exome sequencing identified a molecular diagnosis for patients (Editorial here). One study investigated 2000 consecutive patients who had exome sequencing at one academic medical center over 2 years (here). Another study investigated 814 consecutive pediatric patients over 2.5 years (here). Both groups report that ~25% of patients were “solved” by exome sequencing. All patients had a rare clinical presentation that strongly suggested a genetic etiology. I believe that humans represent the ideal model organism for the development of innovative therapies to improve human health. Experiments of nature (e.g., human genetics) and longitudinal observations in patients with disease can differentiate between cause and consequence, and therefore can overcome fundamental challenges of drug development (e.g., target identification, biomarkers of drug efficacy). Using my Twitter account (@rplenge), this blog (www.plengegen.com/blog), and other forms of social media, I provide compelling examples that illustrate key concepts of “humans as the ideal model organism” (#himo) for drug development.